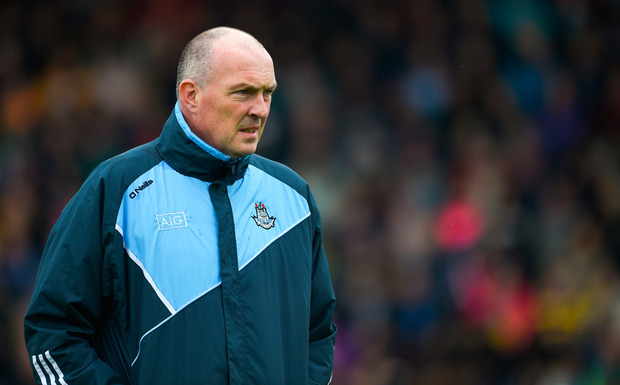 PAT Gilroy has made the shock decision to step down as Dublin senior hurling manager. In a significant blow to the team and a major surprise, Gilroy has been forced to end his tenure after just one season in charge. The Herald understands that The St. Vincent’s man, who was a surprise appointment in October of last year, informed members of this year’s panel last night individually that due unforeseen work commitments that will see him predominantly based abroad, he will not be in a position to manage the team in 2019. Optimism had been raised in Dublin after Gilroy’s first year after a competitive performance in the newly-styled Leinster SHC round robin series, albeit Dublin won just one of their three Championship games. Having brought back a number of the players who had either been dropped by his predecessor Ger Cunninham or left the squad during the Cork man’s three-year reign, Gilroy had indicated his intention to continue the rebuilding job in 2019. Speaking to the Herald in June after Dublin’s last match of the summer against Galway in Salthill, Gilroy insisted: “You’re back to a blank sheet of paper for next year. “And you’d hope to get the best players playing for Dublin. After a listless Division 1B campaign where they recorded just two victories against Antrim and Laois from their five matches, Dublin came within seconds of beating Kilkenny in Parnell Park in their first Leinster SHC match in the newly-rejigged structure. Similarly, they led in injury-time against Wexford in Wexford Park in their next match but ended up on the losing side again by two points. They then preserved their Leinster SHC status by beating Offaly by 13 points in Parnell Park before going down by just a single point to Galway in Salthill in what was effectively a dead rubber. The Dublin county board now face a wholly unexpected appointment headache. Gilroy, who had no significant experience as either a player or manager in hurling, was preferred by the board to Cuala boss Mattie Kenny after both were nominated to succeed Cunningham. More recently, Kenny was linked with the vacant Waterford senior job and it remains to be seen whether his interested could be rekindled after last year’s snub. Former Galway boss Anthony Cunningham worked with Gilroy as one of his selectors and could, in theory, be appointed with limited disruption to the setup. However, Mickey Whelan, Paddy O’Donoghue and Seán Brady are all Gilroy’s appointments and may not be inclined to continue under a new manager. Gilroy's reign as Dublin football manager ended somewhat unexpectedly in 2012 when he was forced to step down after four years in charge when he moved to England for work reasons. Subscribe to The Throw-In, Independent.ie's weekly GAA podcast in association with Allianz, for the best in GAA discussion and analysis every week, with some of the biggest names in football and hurling from Joe Brolly, Tomás Ó'Sé and John Mullane.